Elections in the Town of Duncan are held every two years on odd number years. The Mayor and Council members serve four year terms. Two council members are up for election every two years. All elections for office in Duncan are nonpartisan. This means there are no political parties such as Democrats or Republicans. 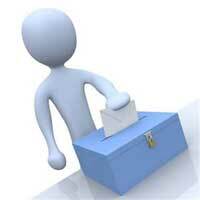 Anyone that has been a Duncan resident for at least 30 days before the election and is a registered voter can run. The next election is scheduled to be held June 11, 2019. You must file with the election commission to run. 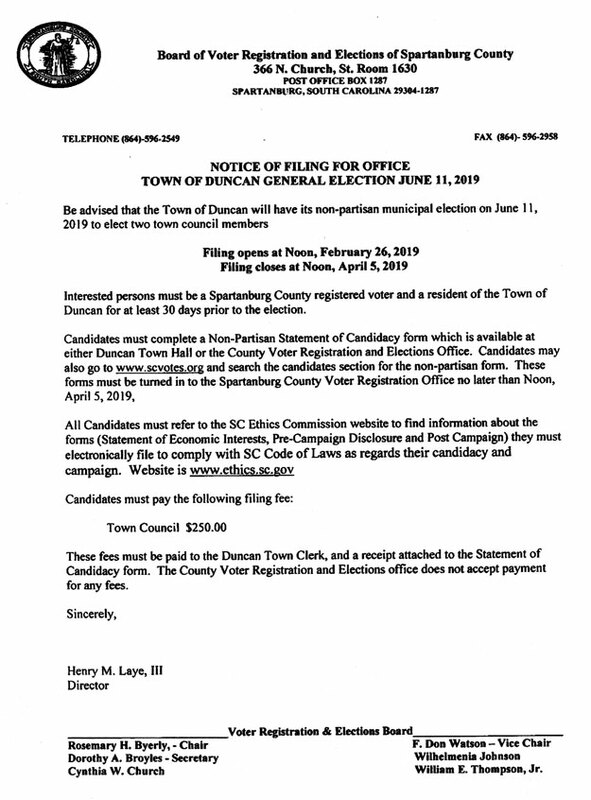 The notice of election from the Spartanburg County Election Commission is shown below. You can download this notice in a PDF format by clicking here. The filing fee to run for Mayor or Council is 250 dollars. Contact Spartanburg County Voter Registration and Elections for more information on this.